Vatican City, Jun 29, 2017 / 03:01 am (CNA/EWTN News).- On Thursday, the Solemnity of Saints Peter and Paul, Pope Francis said that we can’t just know about our faith, but we must live our faith, with Jesus as the center of our hearts and lives. “The question of life demands a response of life. For it counts little to know the articles of faith if we do not confess Jesus as the Lord of our lives,” the Pope said June 29. “Along with Saint Peter, we too renew today our life choice to be Jesus’ disciples and apostles. 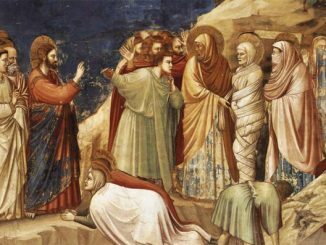 May we too pass from Jesus’ first question to his second, so as to be ‘his own’ not merely in words, but in our actions and our very lives,” he said. Pope Francis spoke to pilgrims gathered in St. Peter’s Square for his Mass celebrating the Solemnity of Saints Peter and Paul, patrons of the city of Rome. During the ceremony, he blessed the pallia to be bestowed on the 32 new metropolitan archbishops who were present, all appointed throughout the previous year. The pallium is a white wool vestment, adorned with six black silk crosses. 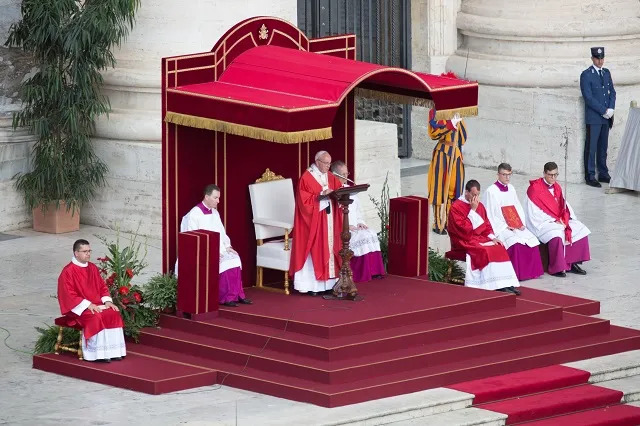 Dating back to at least the fifth century, the wearing of the pallium by the Pope and metropolitan archbishops symbolizes authority as well as unity with the Holy See. Traditionally the Pope bestows the stole to the new archbishops June 29 each year. The rite is a sign of communion with the See of Peter. 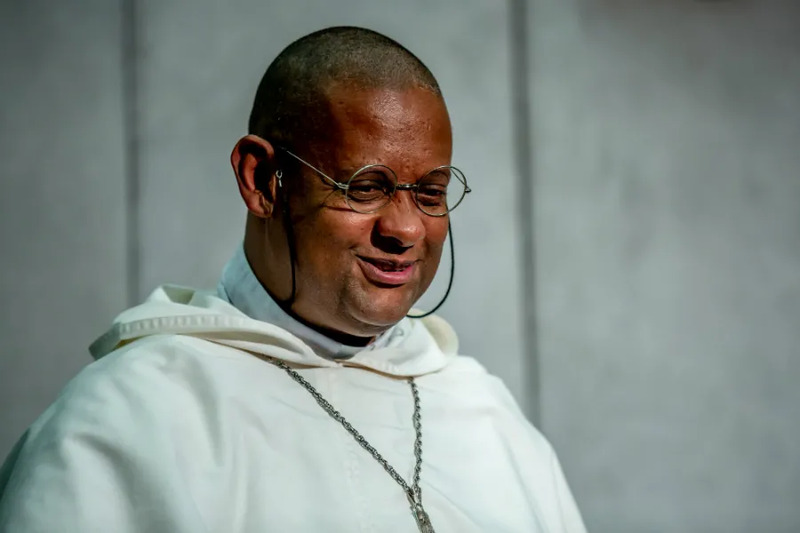 It also serves as a symbol of the metropolitan archbishop’s jurisdiction in his own diocese as well as the other particular dioceses within his ecclesiastical province. But doing so isn’t easy, and that’s when we come to the second word, he explained, because following the way of Christ, also means facing the cross and persecution. Peter and Paul shed their blood for Christ, as well as the early Christian community as a whole. Even today, he continued, a great number of Christians are persecuted. “Apart from the cross, there is no Christ, but apart from the cross, there can be no Christian either,” Francis stated. The Christian is called to “tolerate evil,” but tolerating evil doesn’t mean simply having patience and resignation, he explained, it means imitating Christ, accepting the cross with confidence, carrying the burden for Christ’s sake and for the sake of others – all the while knowing that we are not alone. This is why St. Paul writes: “I have fought the good fight, I have finished the race, I have kept the faith.” The essence of this “good fight,” the Pope emphasized, was living “for Jesus and for others,” giving your all. There is only one thing that Paul kept in his life, and that is his faith. 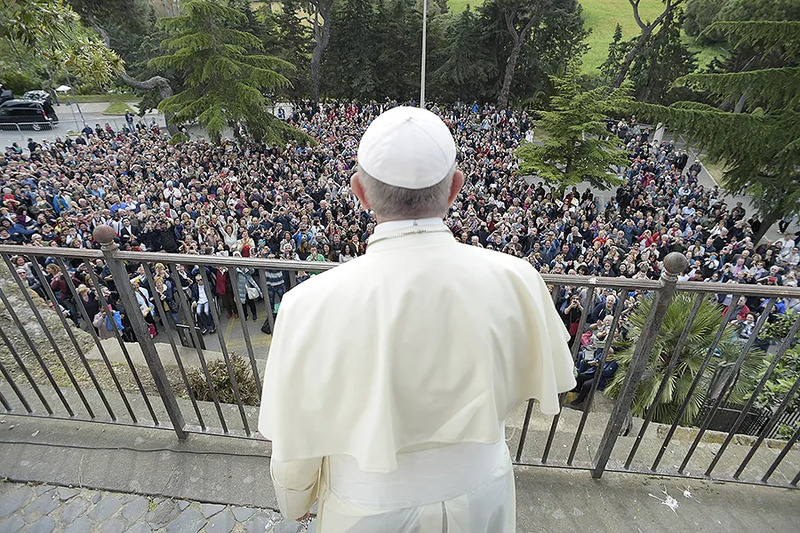 Lastly, Pope Francis said that the life of an apostle must be a life of constant prayer. “A Church that prays is watched over and cared for by the Lord. When we pray, we entrust our lives to him and to his loving care,” he said. Hearts that are wearied because they are constantly asking, knocking, interceding, weighed down by the many needs of people and situations that need to be handed over to God, but also at peace, because the Holy Spirit brings consolation and strength through prayer, he said. Just as the Lord accompanied the journey of the Apostles, “he will do the same for you, dear brother Cardinals,” he said.